Follow our Crypto Kitties Guide for how to get started with Crypto Kitties including beginner’s tutorials on how to buy, trade and breed new Crypto Kitties. If you are thinking of becoming a new Crypto Kitty owner, please read our Crypto Kitties Guide before you take the big step of becoming a new owner! The temptation is to jump in and buy the cheapest Kitten you can find, you may regret this after you have done more research as you can make more informed decisions. Kittybids.com is here to help! Crypto Kitties Guide to what are Crypto Kitties? Crypto Kitties is one of the world’s first block chain games where you can collect and trade adorable cats. The CryptoKitties game is based on collectable kittens, that are breedable. it cannot be replicated, taken away, or destroyed. CryptoKitties is based on the Ethereum block-chain and you need some Ether to buy these cryptocollectables. Ethereum, also known as ETH or Ether, is one of the top cryptocurrencies in the world and needs to be purchased in advance in order for you to be able to play the game and trade kitties. The object of the game is to acquire cartoon kittens. The only way to do this is buy them or be gifted them. Each kitten has a set of attributes (or “cattributes”) – see below on this page for a full list of cattributes. Kitty Players can then try to generate kittens with rare attributes by “breeding” them with other cats in their stable. Players can acquire or sell cats in the Kitty marketplace within the the game. What do I need to play Crypto Kitties? To get started playing Crypto Kitties you will need a PC or laptop running the desktop version of Chrome or Firefox web browser. You will then need to download and install a browser plugin called MetaMask. Meta Mask is a digital wallet used specifically with crypto tokens like Ethereum – the digital payment on the blockchain that powers Crypto Kitties. When you install MetaMask it will prompt you to save 12 words. This is your backup so keep it safe and secure, never share it with anyone. Think of it as a long password to get into your crypto wallet funds. To buy Ethereum, go to Coinbase and open up an account. There you can use different normal payment methods to buy some ETH. Ethereum is a fractional cryptocurrency so you can buy Kitties for fractions of 1, not a whole token. A kitty may cost 0.11 Ether for example. The best and easiest cryptocurrency exchange service we have used is Coinbase. Remember your Ether needs to end up in your MetaMask wallet for you to be able to use it to buy kitties. Can I play Crypto Kitties with my Smartphone? No, this is not possible at the moment. CryptoKitties relies on technologies that are not available on Smartphones yet. How much does it cost to play the game? Can I use a Credit Card to purchase Crypto Kitties? No. The only way to get a kitty is to buy one using Ethereum or be gifted one. 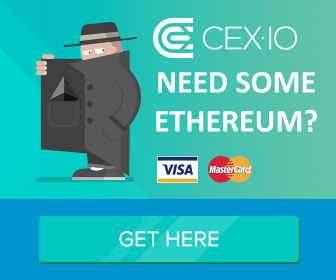 Go to Coinbase and use your credit card there to buy some Ether. What types of Crypto Kitty are there? We also made a CryptoKitties Scarcity Index to show you which cattributes are the hardest to find. We update this Crypto Kitties Guide to Cattributes each time a new trait is released. After a Kitty breeds with another Kitty, it will be temporarily unable to breed again for a brief period of time. This is called a “cooldown”. The time it takes to recover will increase each time the Kitty breeds. So a Generation 14 kitty will take a long time VS a Gen 0 will be fast! How do Crypto Kitty Generations work? When 2 kitties are breed together, the resulting generation will be one higher than the highest generation parent. What type of CryptoKitty is the most collectable? Take these into account when you are looking at buying new kittens and the price that is being asked. We recommend you make a note of the traits, speed and gen that you are looking for. Where do Crypto Kittens come from? The CryptoKitties team release a new CryptoKitten (Gen 0) every 15 minutes. The income from all Gen 0 kittens goes to the team. They also take 3.75% of each transaction in the Crypto Kitten marketplace. How to sell or trade a Kitty? There are 2 ways to trade a kitty, either a direct transfer or by auction. The owner of a kitten can put their kitty into a clock sales auction (also known as a Dutch Auction). This is where the price decreases over the time of auction until the reserve price is met or the kitten is sold. How much does it cost to buy a CryptoKitty? There is no set price for Cryptokitties. When you want to sell your cat you can set your own price, some have already sold for many thousands of Dollars! We update this information at the top of our website. When your Kitty is put in an auction and the price goes down until the auction ends or the Kitty is purchased by another user. There is a graph on the for sale page to help you see the price tend. Kitten Number 1 is called Genesis and has already sold for Ξ 246.9255 which is $117,712 on 2nd December 2017! Fancy Cats are special designs, they usually sell for a premium. Here are some links to other sites that may be useful to you. Disclaimer: content on this site should not be used when making Cryptokitties investment decisions. You should seek professional financial advice or do your own research. We will not accept any liability for investment decisions, losses or other.